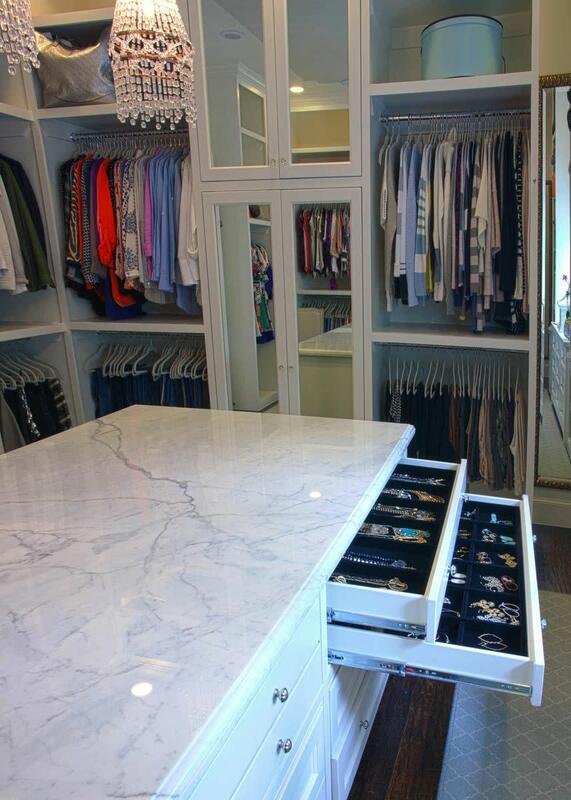 Looking to transform your master closet? This luxury walk-in closet in Dallas has room for all your closet needs! Custom-designed jewelry inserts and beautiful crystal chandeliers highlight the space. Mirrored-glass front doors and enclosed upper cabinetry was used to store formal wear and off-season clothing. Extra adjustable shelving was designed to display the client’s shoe and purse collections. 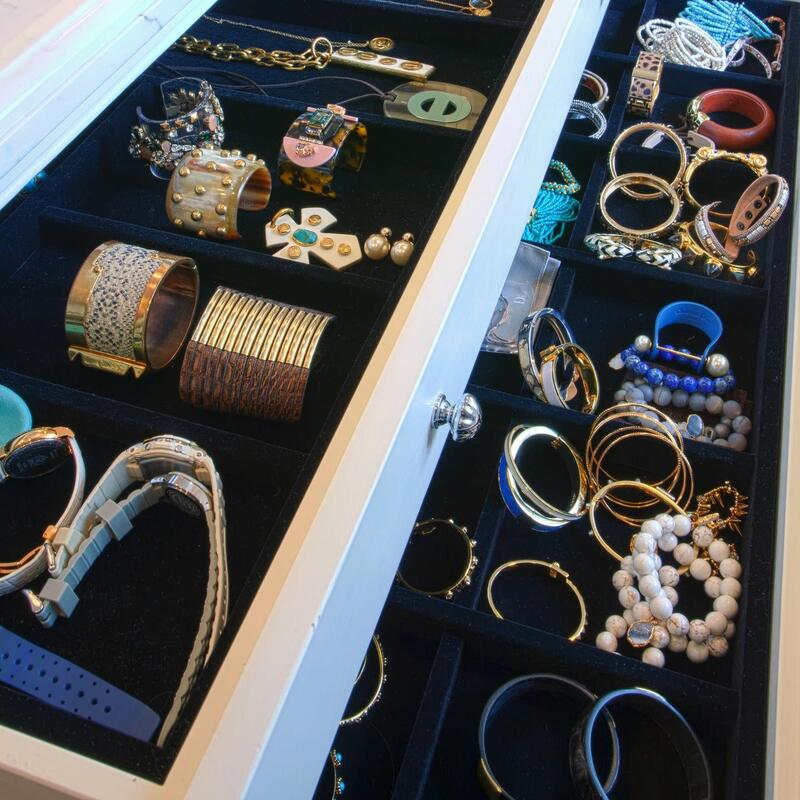 A large dresser island stores jewelry, sunglasses, clothing and accessories.